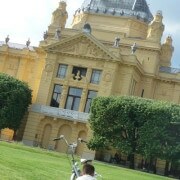 Zagreb, the capital of Croatia, has nothing to see with the pictures we usually see on postcards. 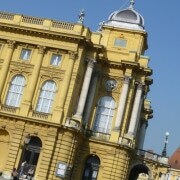 It is situated in continental Croatia, far from the clear blue sea. 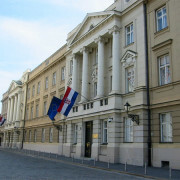 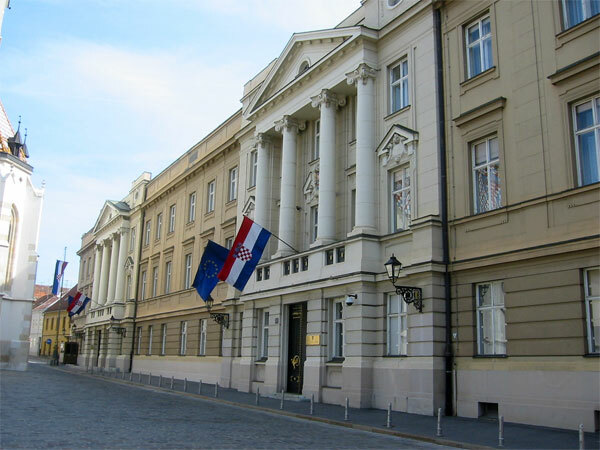 Zagreb has been part of the Austro-Hungarian empire for centuries, while the coast and islands were belonging to the Venetian Republic. 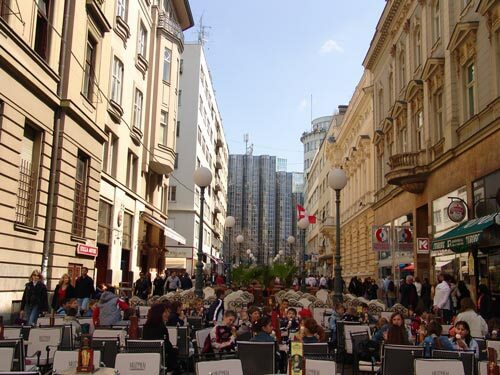 So its architecture, its culture and its gastronomy have nothing to see with the coast and remind us more of its northern neighbors. 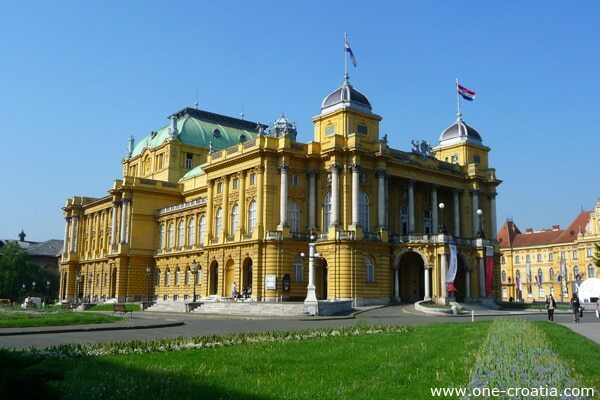 Zagreb is a beautiful and charming city that you must visit during your vacation in Croatia. 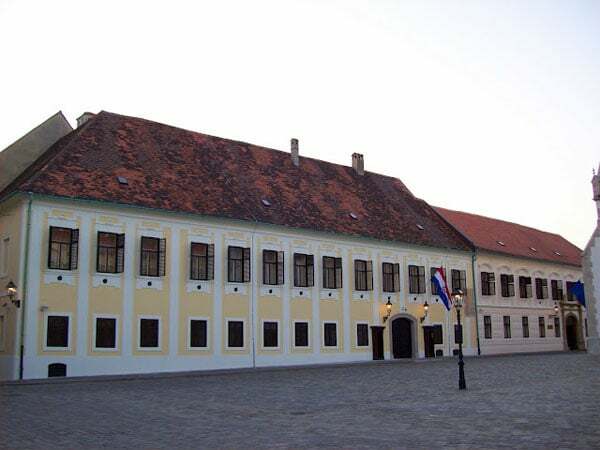 The city has been growing on two hills called ‘Gradec‘ and ‘Kaptol‘ that hosted two distinct and rival towns which were later united in one same town. 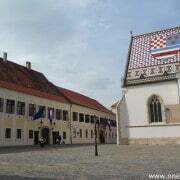 This town has become a district of Zagreb that is called Gornji grad and means Upper town. 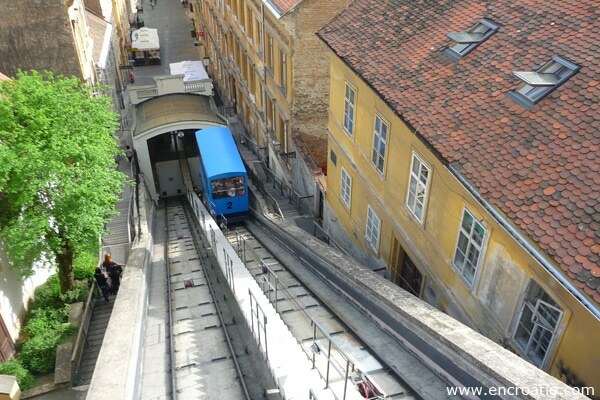 At the bottom of these hills a modern city has developed, that is today the heart of the city. 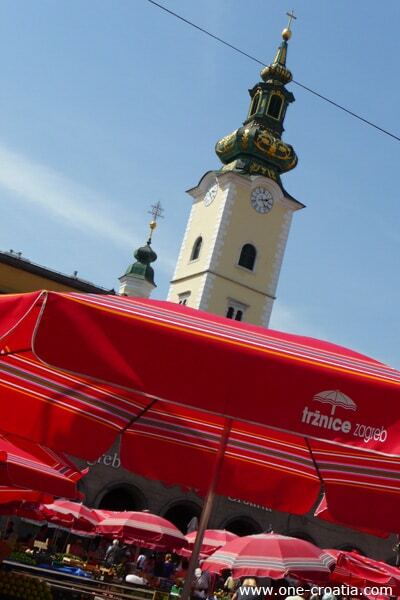 It is called Donji grad that means Downtown but its inhabitants rather call it the Center. 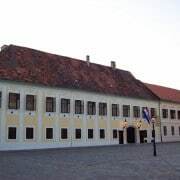 In Croatian we call it Trg Bana Jelačica that means the square of Ban Jelačić. 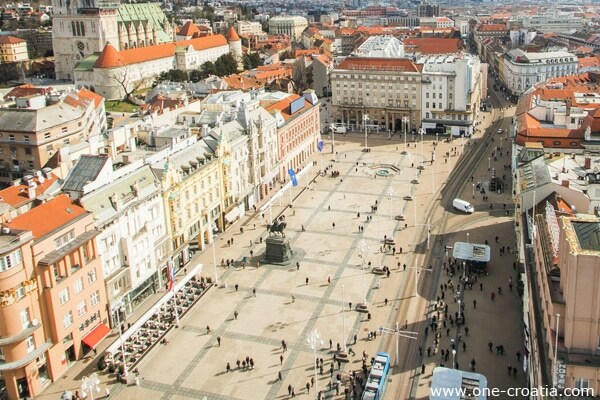 This is the heart of the city of Zagreb. 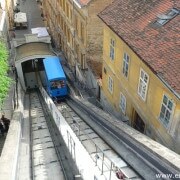 It is the meeting point of all the people living in Zagreb and arriving by tram from all corners of the city. 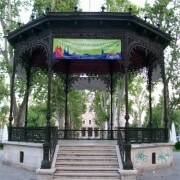 It is also the place where all the main events of the year take place such as concerts, folk festivals, traditional markets and much more. 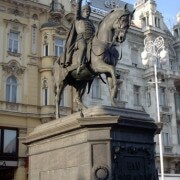 In its center stands the equestrian statue of Josip Jelačić who gave his name to the place. 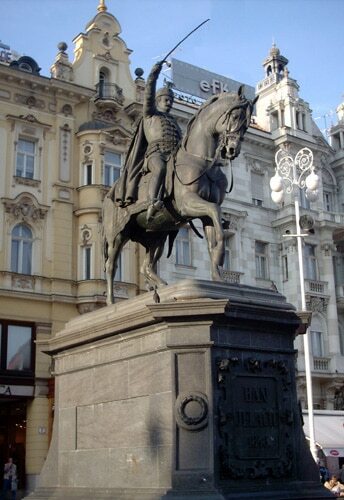 Jelačić bore the title of ‘Ban’ (governer) of Croatia during the 19th century. 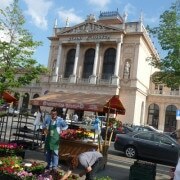 If you believe that markets are a must see in every place you visit, then you have to go to the Dolac market in Zagreb. 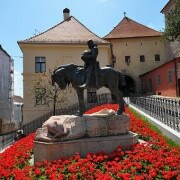 It is situated in the center of the city, just behind the main square Ban Jelačić. 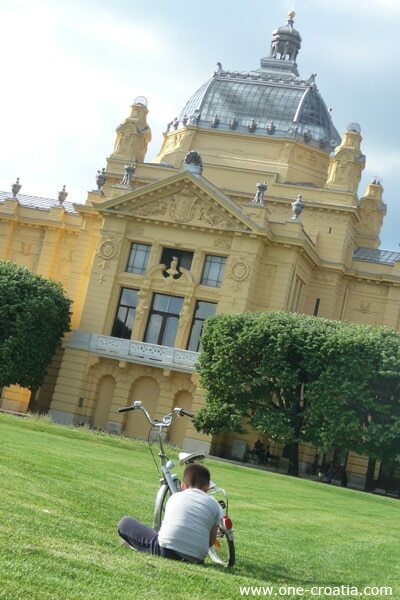 It takes place everyday, all year long. 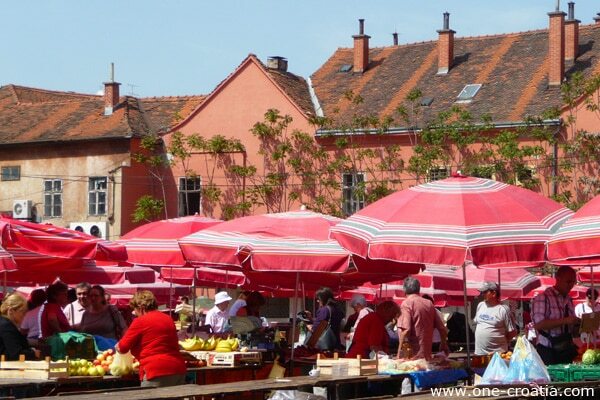 Dolac is a colorful market where you will find local products. 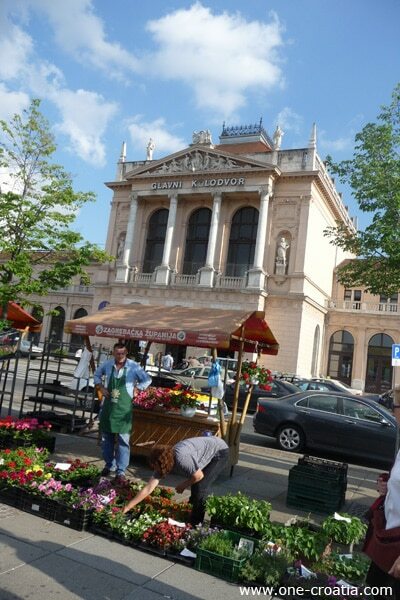 Outside you will find the fruit and vegetable market. 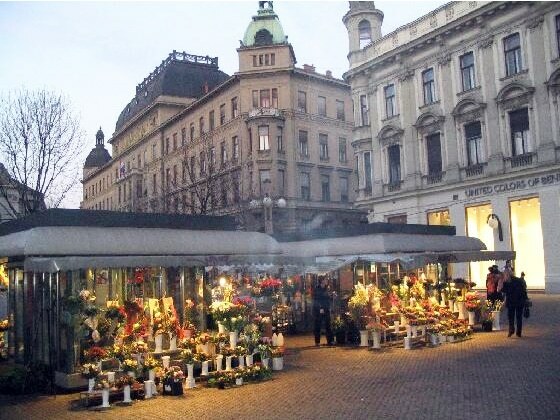 Below it, inside, there is another market where you can buy meat and dairy products. 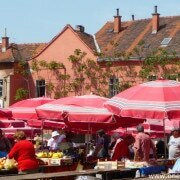 The fish market is situated at the same level as the fruit and vegetable market but it is covered. 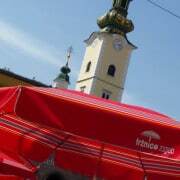 The pedestrian zone is located in front of the main square Ban Jelačić. 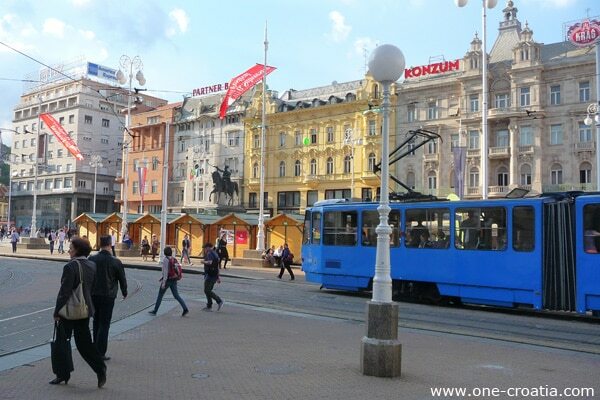 When you are on the square, cross the street where all the trams pass, and you are there! 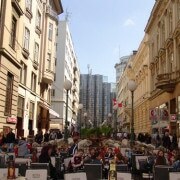 People come here to have a drink on the terrace, to have lunch, or just a coffee most of the time. 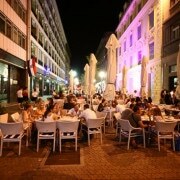 It is alway busy. 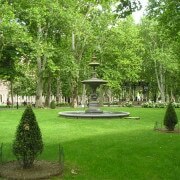 ‘The green horseshoe‘ is a succession of eight parks around which the city has been developing. 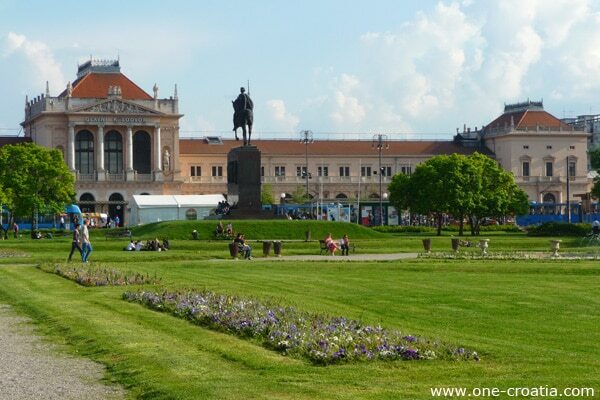 The architect Lenuci gave to these parks a shape of horseshoe. 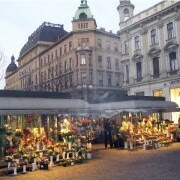 You can get there in 2 minutes from the main square, take the Praška street that goes to the railway station. 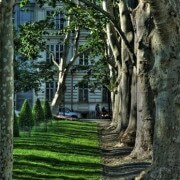 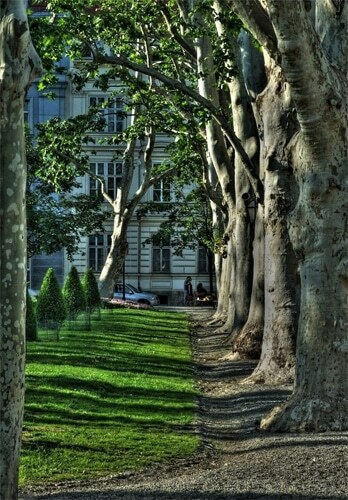 Zrinjevac is a beautiful park that is famous for its alley of centenary plane trees. 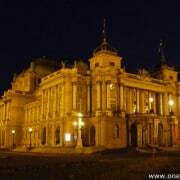 Its fountains, its bandstand and the busts representing famous people are a real time travel. 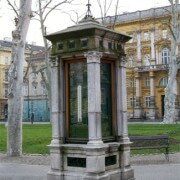 Just like people of Zagreb would do, stop for a moment at the meteorological column that was placed here 120 years ago. 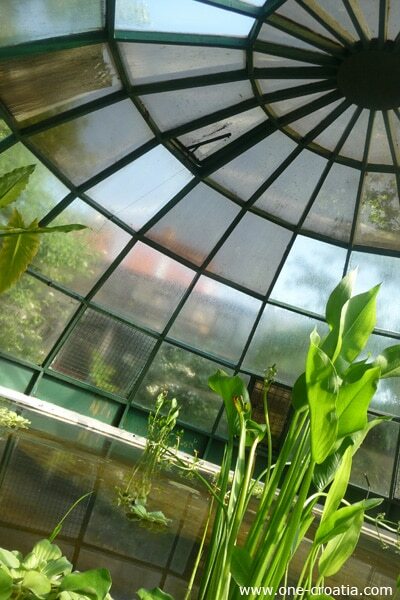 You will discover there the time, temperature, atmospheric pressure and humidity. 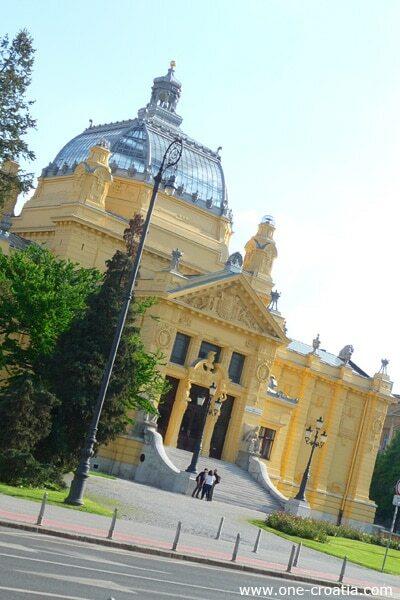 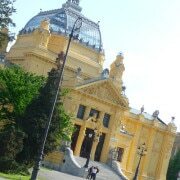 It was built for the 1896 Millennium Exhibition in Budapest. 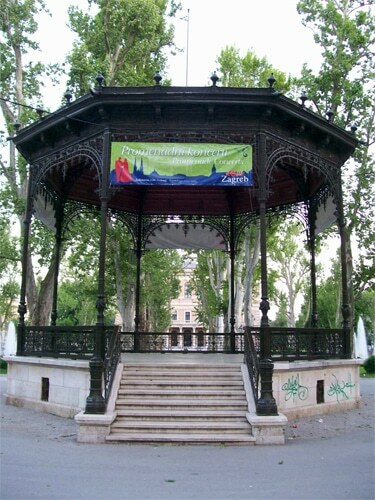 Thanks to its metal structure that was innovative at the time, it could be transfered from Budapest to its present place in Zagreb. 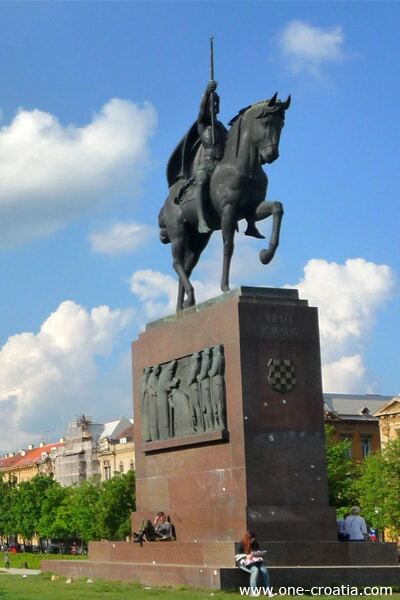 You will see there the equestrian statue of the first Croatian king, Tomislav, who was crowned king in 925. 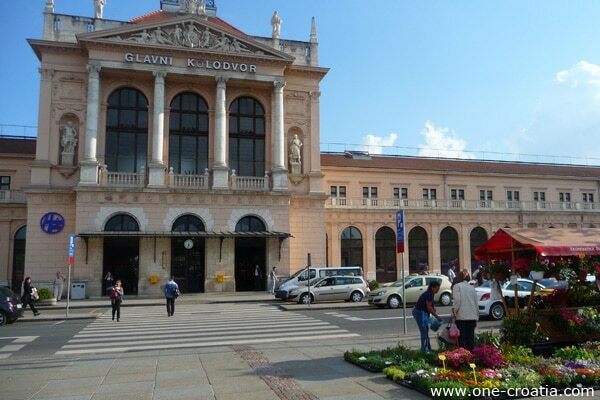 This is the biggest railway station in Croatia. 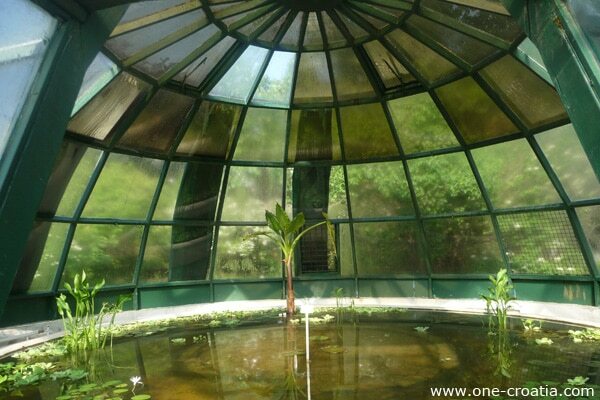 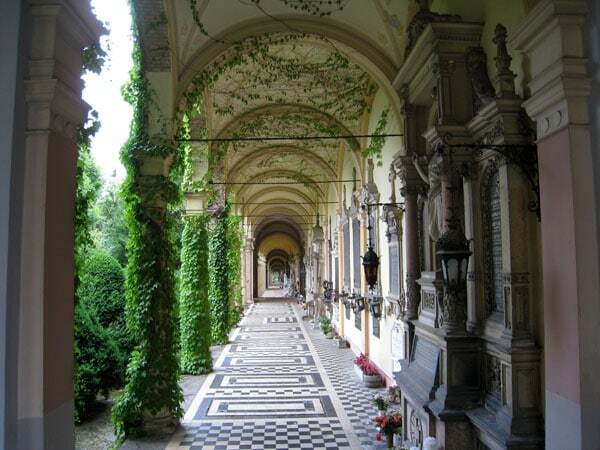 It dates from the late 19th century and was built in a neoclassical style. 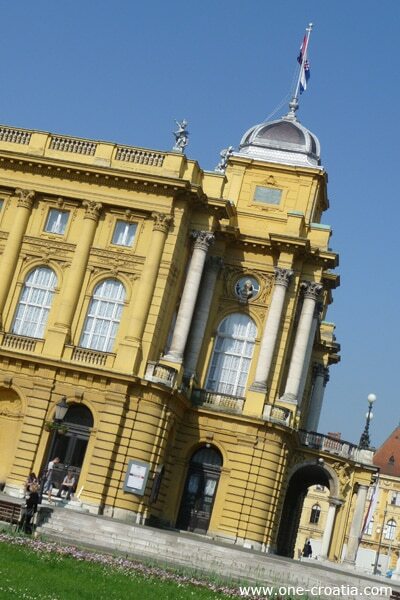 In the old days, passengers of the Orient Express to Istanbul would stop in Zagreb for a stroll in the city and a dinner at a great restaurant. 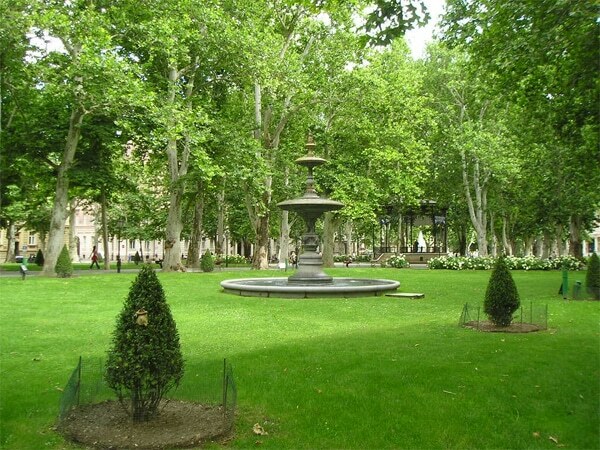 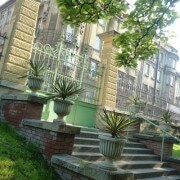 It is a true haven of peace in the center of the city. 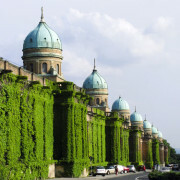 It has one of the biggest collection of plants in Europe with nearly 10,000 species. 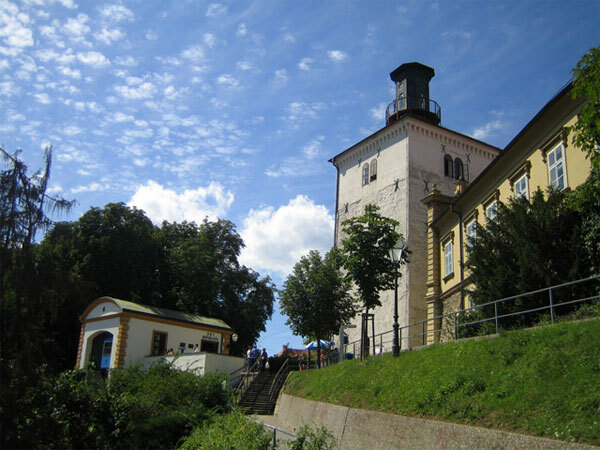 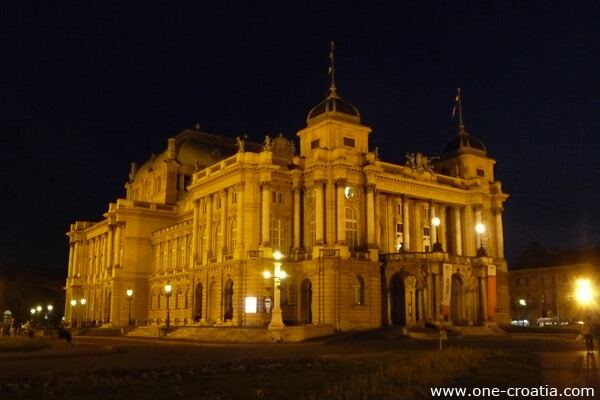 It dates from the late 19th century when the city was part of the Austro-Hungarian empire. 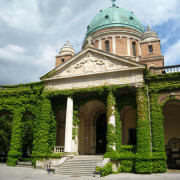 The exterior as well as the interior of this neo-baroque building has not changed since it was inaugurated in 1895 by Emperor Franz Joseph II. 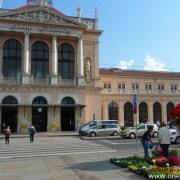 You can enjoy there plays, operas or ballets. 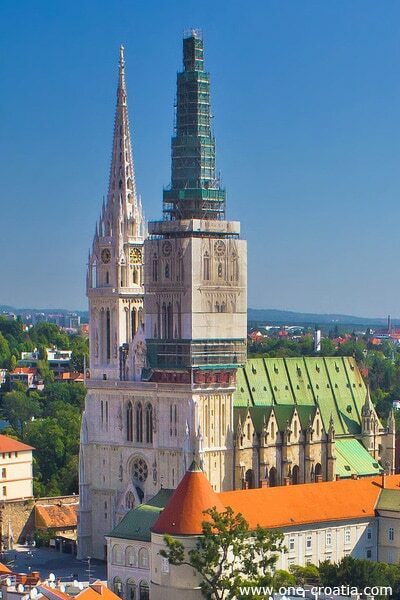 The Cathedral of Zagreb is dedicated to the Assumption of the Virgin Mary, but it’s actually known by the name of St. Stephen’s Cathedral. 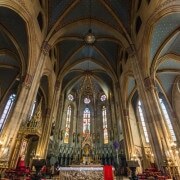 It was built in a Gothic Revival style. 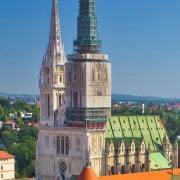 You can now admire its two superb bell towers that were recently renovated. 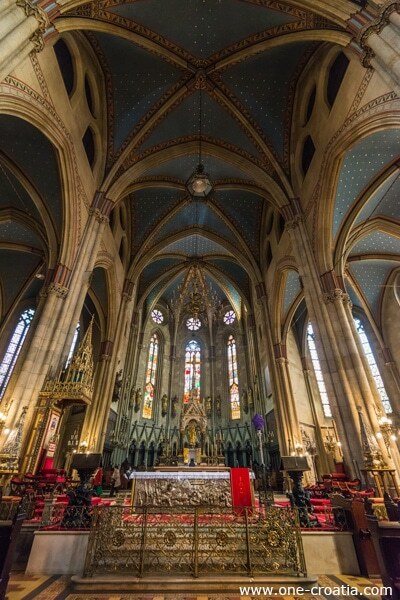 Once in the cathedral look up on the wall on your right, you will see a text written in Glagolitic alphabet, which was used in Croatia since the Middle Ages until the 19th century. 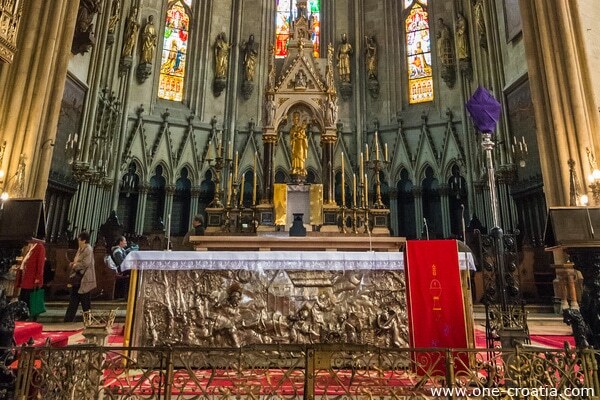 Then in the choir you will see the sarcophagus of Cardinal Stepinac who was sentenced to 16 years of prison and hard labor during Tito’s communist regime. 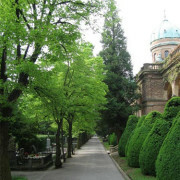 His body was buried in the crypt of the cathedral. 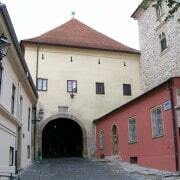 The stone gate (in Croatian Kamenita vrata) is a square tower that was part of the fortifications of the city Gradec from the 13th century. 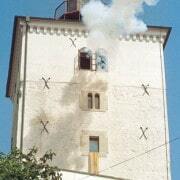 Many fires took place in the tower, but the one from the year 1731 has remained in the memories. 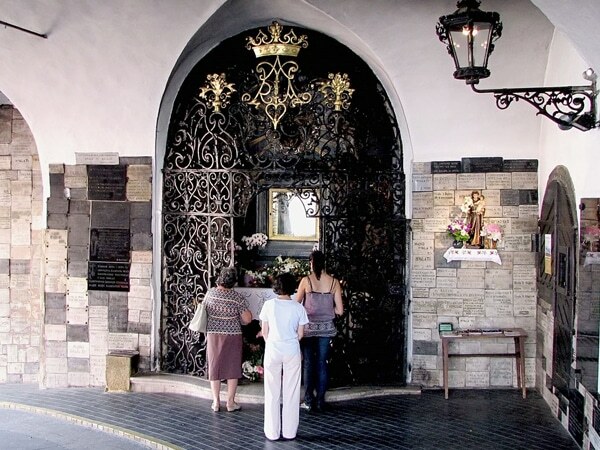 The legend says that the painting of the Blessed Virgin that stood above the entrance has been found intact in the ashes. 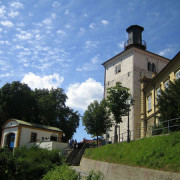 A small chapel was then created in the inside part of the tower, and it contains the painting. 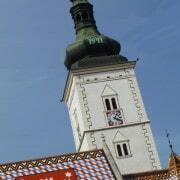 People from Zagreb often come here to pray, you can see messages on the wall that express their thankfulness. 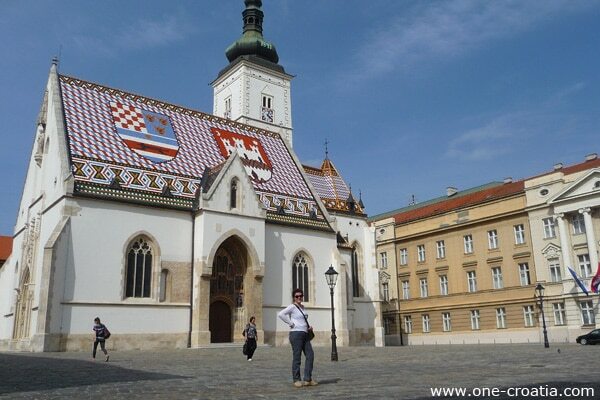 The most interesting part of St Mark’s church (in Croatian Sveti Marko) is for sure its roof which is made of polychrome glazed tiles that represent two coat of arms. 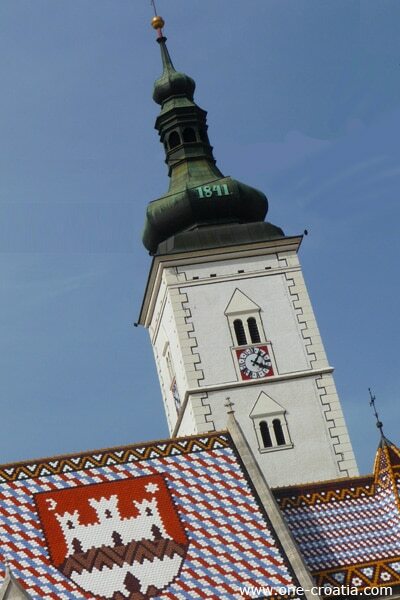 The one on the left represents the unification of the Kingdoms of Croatia, Slavonia and Dalmatia, and the one on the right is the coat of arms of Zagreb (white castle on red background). 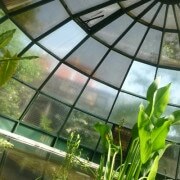 The roof was laid in 1880. 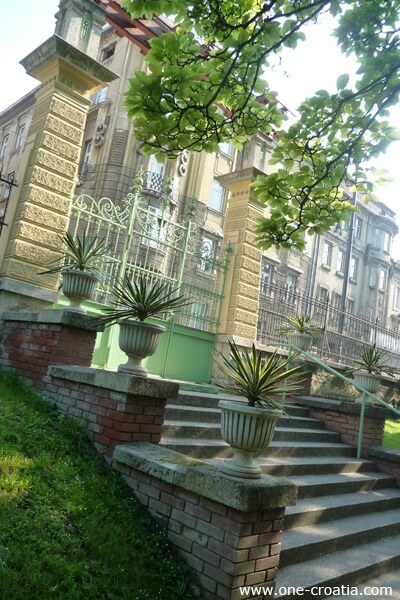 When you are situated in front of St Mark’s church, looking at its roof, turn around to the right. 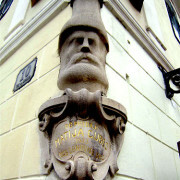 Look at the wall at the corner of Kamenita and Čirilometodska streets. 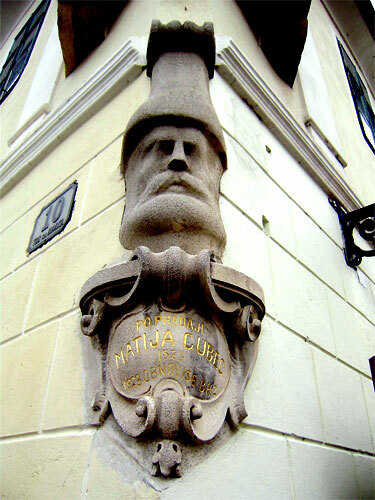 You will discover then the bust of Matija Gubec. 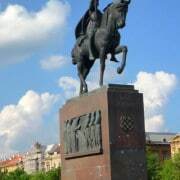 Matija Gubec was a Croatian revolutionary and also the leader of the revolt of the peasants of Croatia and Slavonia. 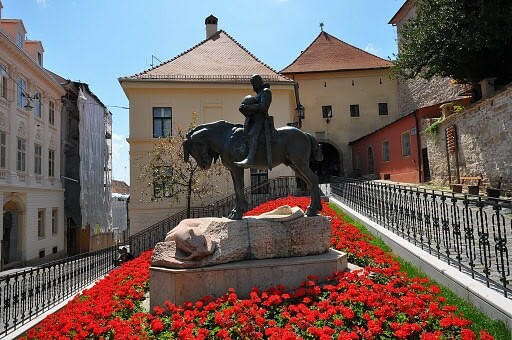 After their defeat in Stubičke Toplice in 1573, Gubec was publicly tortured in front of St Mark’s church, at the spot he is looking at now. 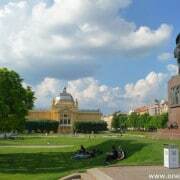 Don’t go away, there are still importants monuments to see on Saint Mark’s square. 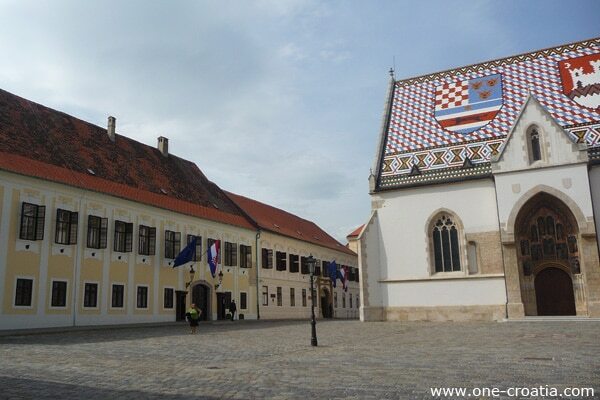 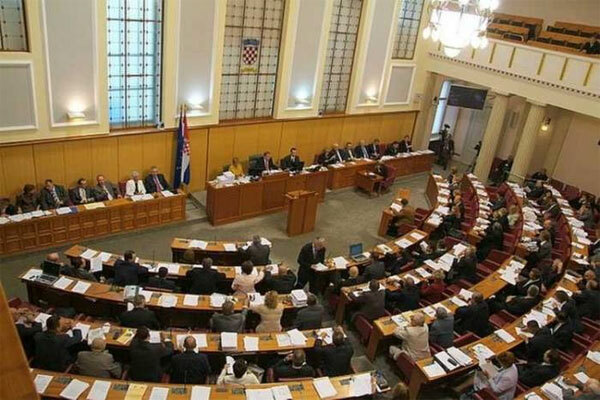 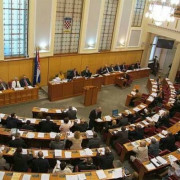 When you are facing the roof of the church, the building on your left is the Government of the Republic of Croatia (in Croatian Banski dvori), and on the right the Croatian Parliament (in Croatian Sabor). 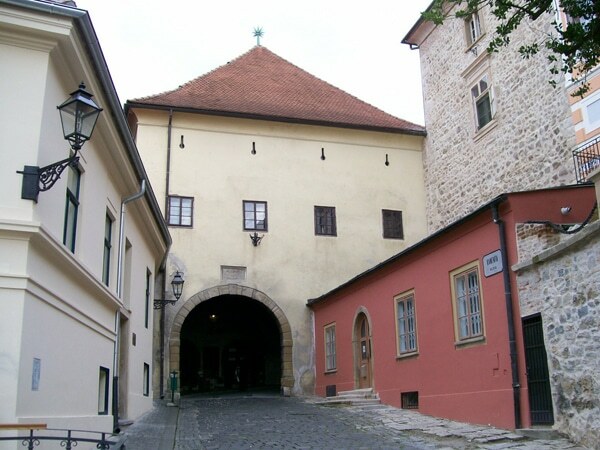 Just like the stone gate, the Lotrščak tower was part of the fortifications of the city of Gradec. 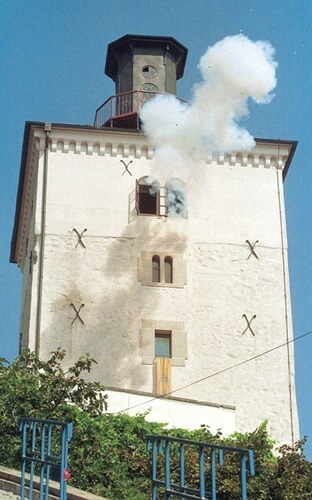 A cannon is situated in the tower and is fired every day exactly at noon. 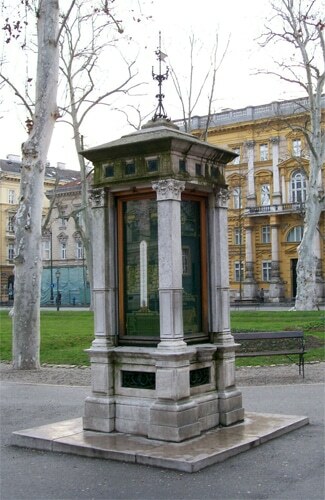 The color of the city of Zagreb is blue. 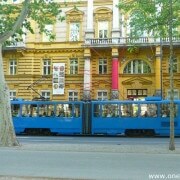 If you spend your vacation in Zagreb, you will see this colour very often. 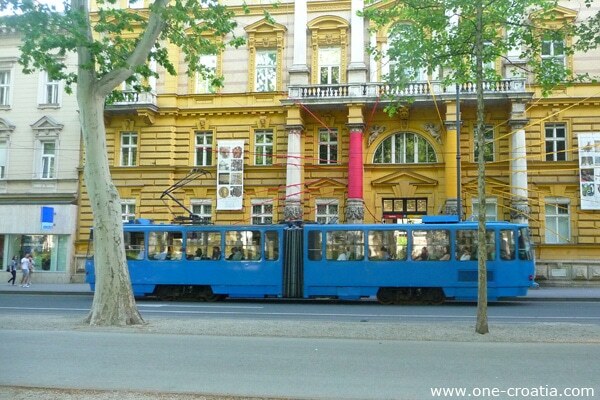 Like on the jersey of the football team Dinamo, on the buses and of course in the famous blue trams that transport the people of Zagreb since 1910. 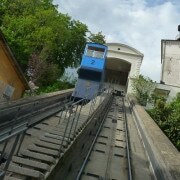 It connects the Downtown to the Upper town by connecting the main street Ilica to the Lotrščak tower. 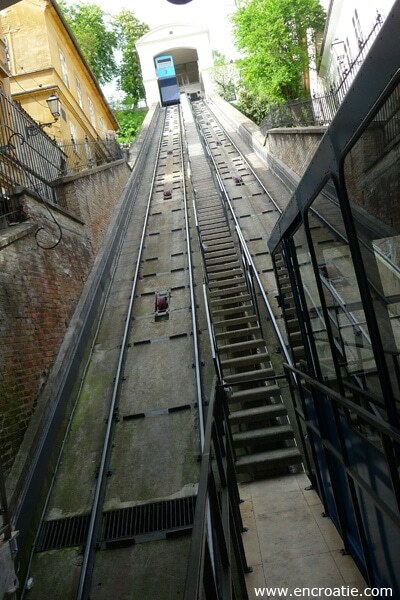 It is in use since 1893, first it was working on steam, and was electrified in 1934. 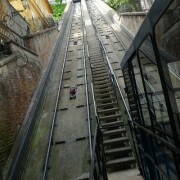 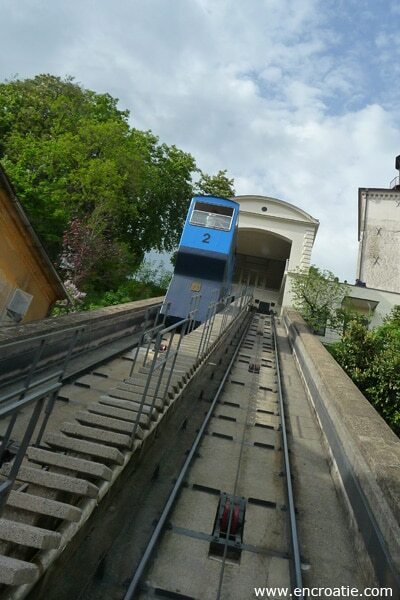 Its 66 metre (217 ft) track makes it the shortest public transport funiculars in the world. 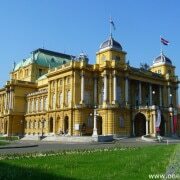 The ticket price is 4 kn. 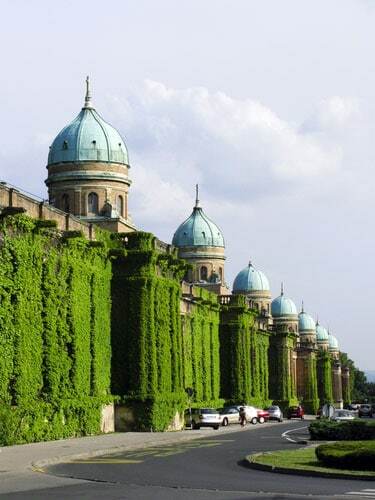 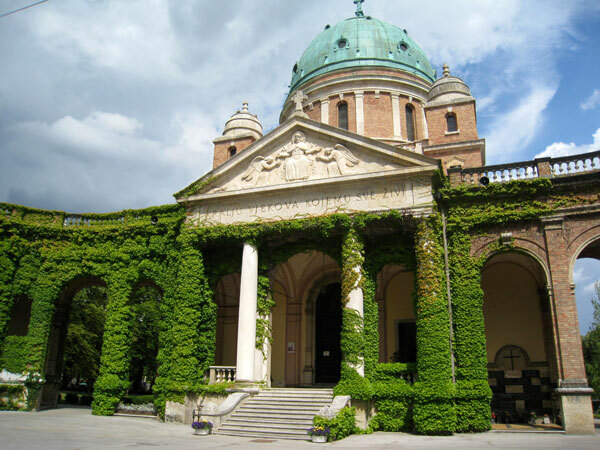 The Mirogoj cemetery is for sure one of the most valuable sites in Zagreb. 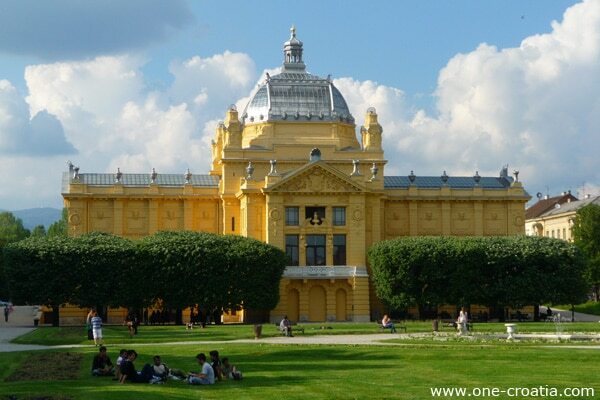 It can be compared to the Pere Lachaise cemetery in Paris because it is the last resting place of many important people of Croatia as celebrities, politicians or Croatian artists. 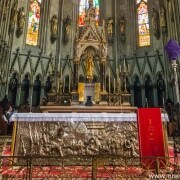 It welcomes all religions without exception. 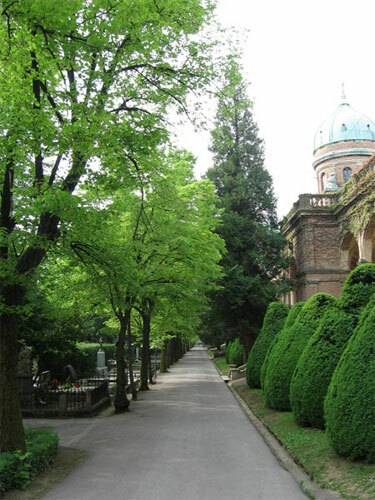 Many people come here to have a walk and enjoy its beautiful grave memorials, its nature and peacefulness. 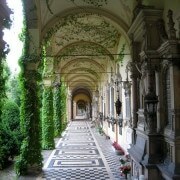 Its actually more than a cemetery and could be compare to an outdoor art gallery. 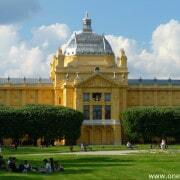 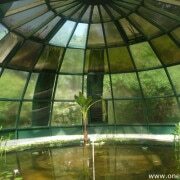 It is the architect Hermann Bollé who designed it in the late 19th century. 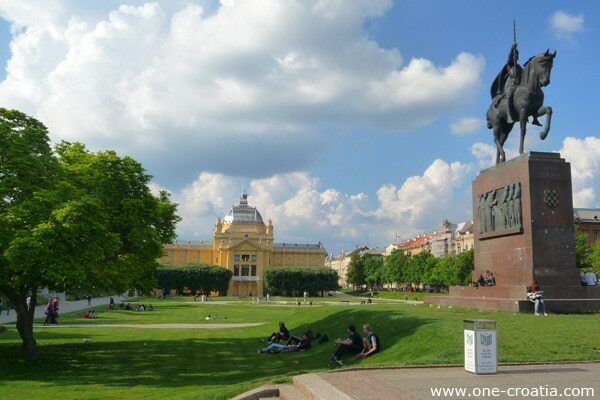 With its 700,000 inhabitants Zagreb is really a pleasant city to live. 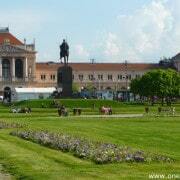 It has many parks and it is then a paradise for all the sport lovers. 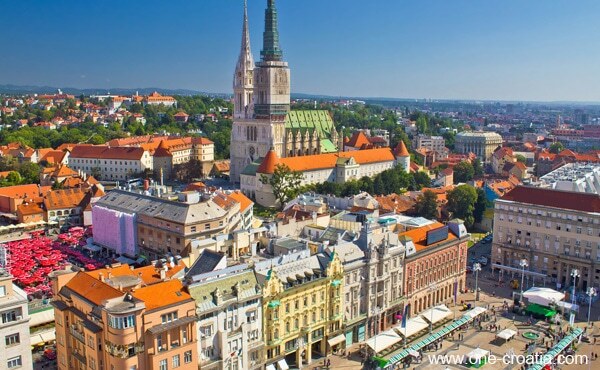 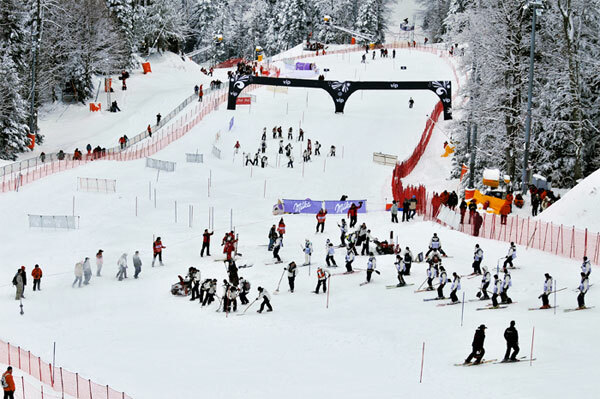 But did you know that the Croatian capital has as well a ski resort situated only twenty minutes car ride from the city center? 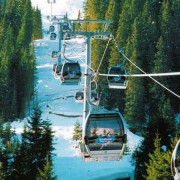 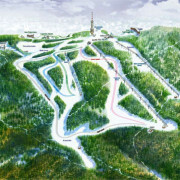 The ski resort Sljeme on the Medvednica mountain. 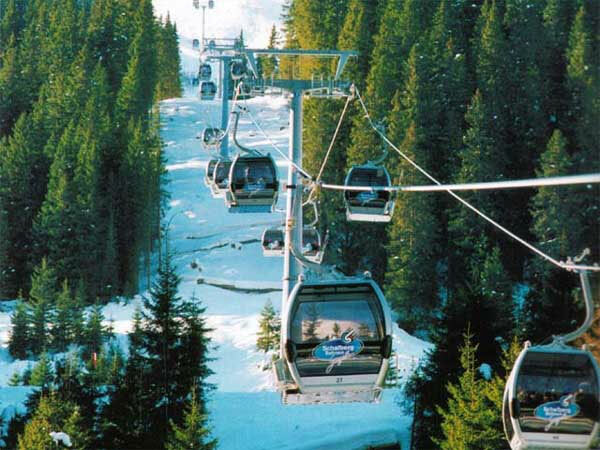 Sljeme is as well accessible by tram from the main square Ban Jelačić: take the tram number 14 to the last stop (Mihaljevac) then the number 15 to the last stop (Dolje) where you will jump in the cable car that will take you to the top. 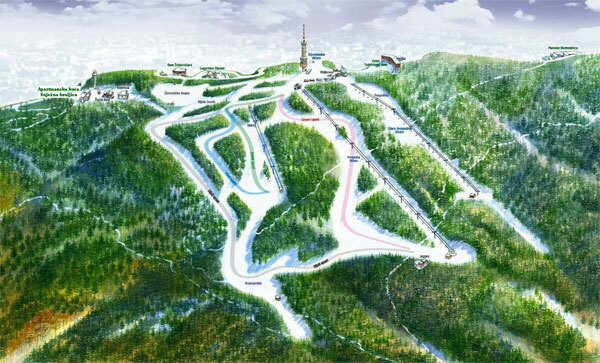 The best Croatian skiers, brother and sister Janica and Ivica Kostelić, made their first ski steps on their journey to ski fame on the Sljeme ski resort. 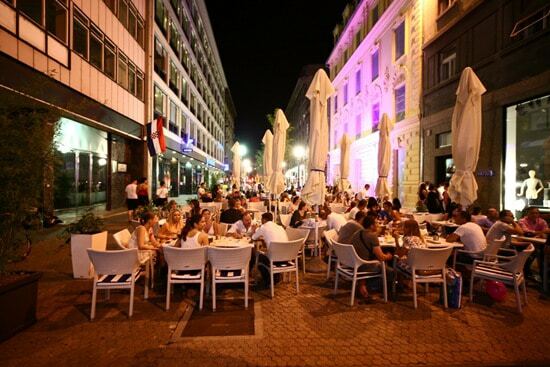 Once there, be sure to taste specialties such as Cheese Štrukli, Grah i kobasice (beans and sausage), or Sarmas (stuffed sauerkraut leaves).